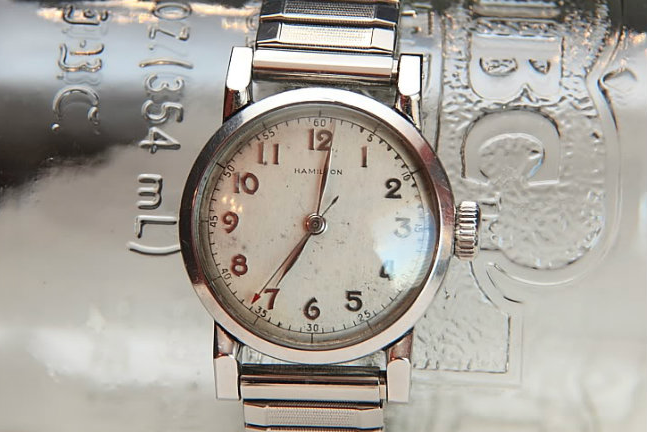 In 1950 Hamilton added a stainless steel model to it's CLD ("sealed") line up. 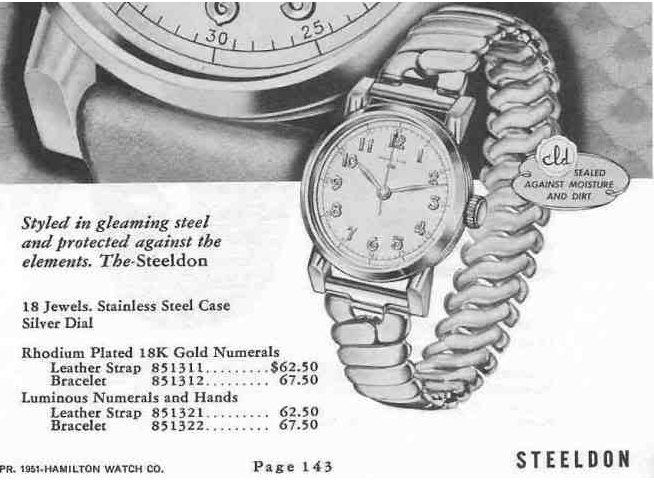 The Steeldon was produced for only three years and ran until 1952. Several new CLD models were introduced in 1953. 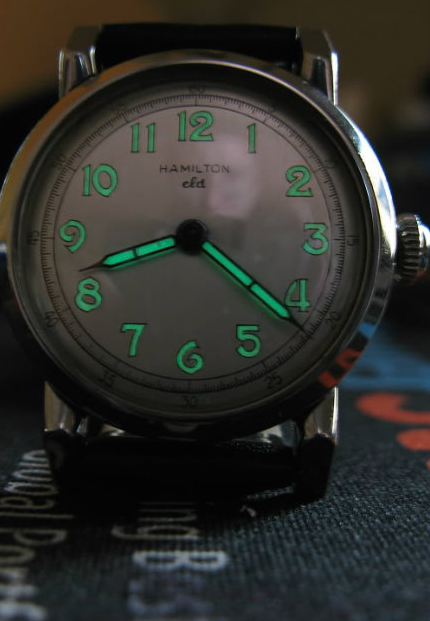 The Steeldon featured a central sweep second hand, powered by Hamilton's 18 jewel, 8/0 sized 748 movement. Being in the CLD line, the watch featured several levels of gaskets that sealed the two-piece case as well as the stem and crown. Two different dial patterns were available, the Rhodium-plated, solid 18K gold numerals on a sterling silver dial, or luminous numerals on a silver dial (with luminous hands to match). Being stainless steel, the Steeldon is a rugged little watch and the only part that seems to wear is the glass crystal. Replacing the crystal is about the only thing needed when you're lucky enough to find a vintage Steeldon. I have an old Steeldon that I believe dates back to 1947 or 48. It is the model with the luminous numbers and hands. It is all original, except for the band and I had to replace the crown stem. It runs very well.I serviced it a few months ago. My father was also a watchmaker, and I found it in an old cigar box of odds and ends watches that he had. It probably sat for 30 of 40 years in that box before I decided to fix it up. 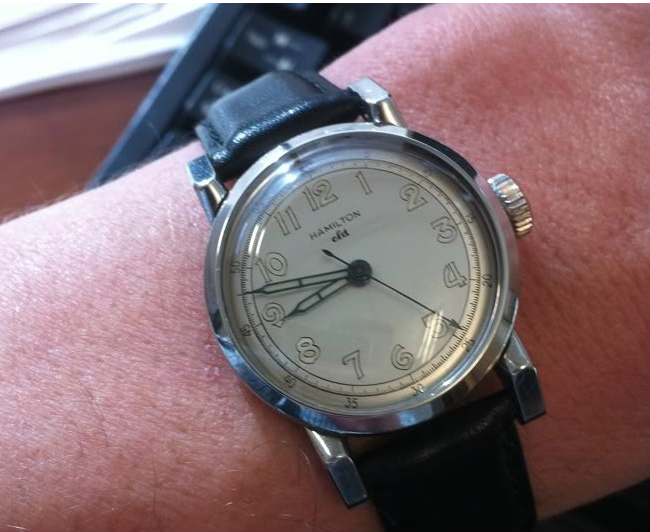 By any chance, would you happen to have an extra second hand for the Steeldon I could purchase? Nope but if you look in the parts manual posted you can get the part number and call around... Jules Borel, Barton & Chase, Casker, et al.